Just stick on, write on symbols with water-soluble markers and erase with damp cloth. Includes a variety of shapes. 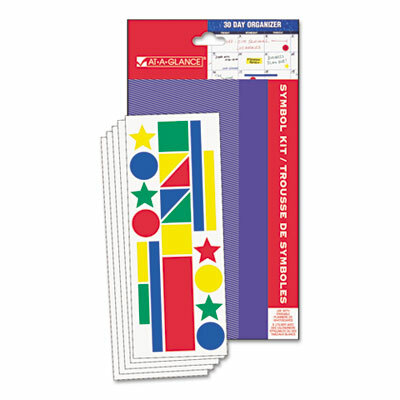 Static-cling vinyl symbols make it easy to code and organize your erasable planning system. Use them over and over again! Write on symbols with water-soluble markers erase easily with just a damp cloth. Includes a variety of shapes, including stars, circles, squares, rectangles and more.